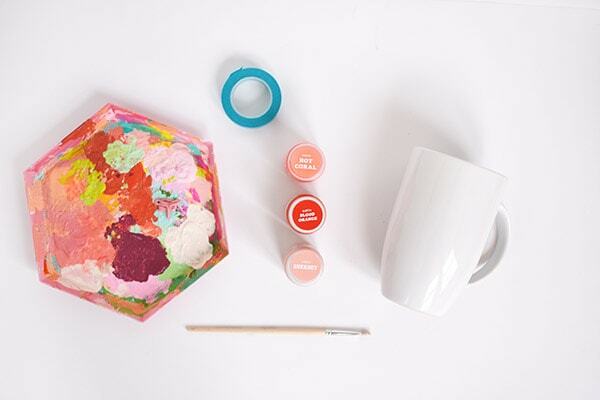 INSIDE : Create a colorful DIY Painted Flower Mug Vase to hold your next bouquet of flowers! A simple craft that makes your flowers stand out from the rest. I will be honest. Sometimes a lady just does not want the typical lovely dovey pink on pink on red flowers. 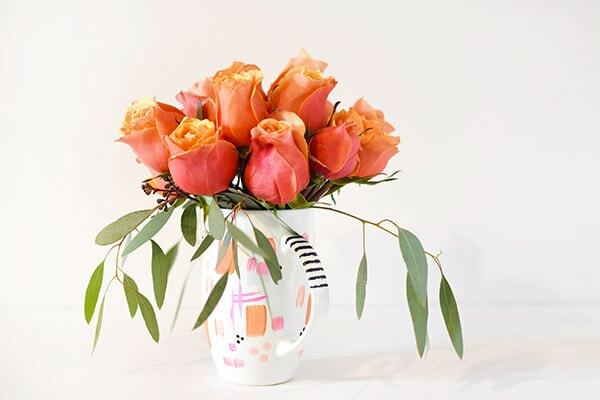 That is why this Valentine’s day I am enjoying my peachy coral yellow roses in a DIY Flower Mug Vase. There is nothing wrong with stepping outside of the box once in a while… and I love being outside that box. 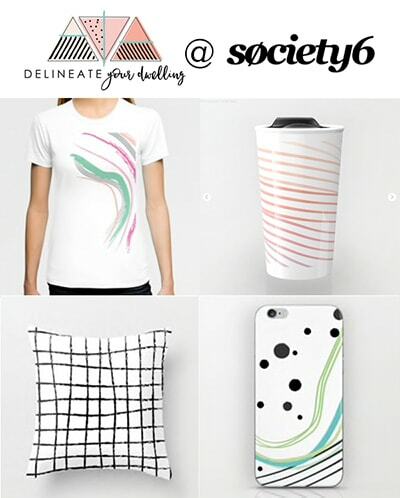 PS – There is nothing wrong with lovely dovey pink on red on some more pink if that is your thing! 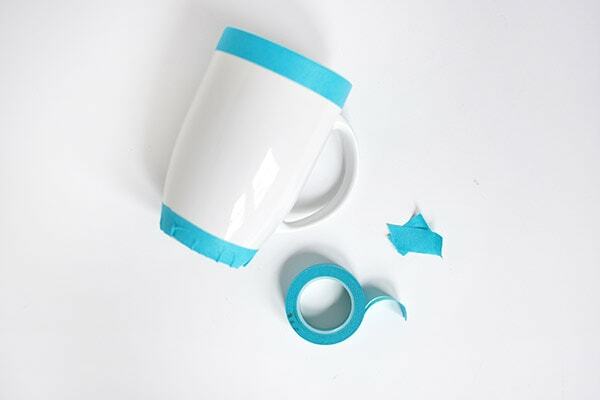 To start this project, tape off the top and bottom of your mug with painter’s tape. 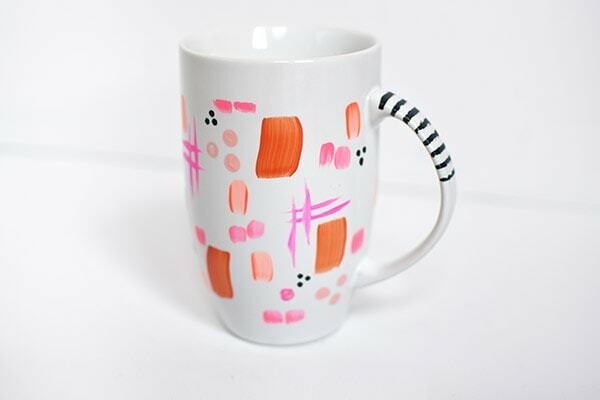 Using shades of orange, coral and pink start to create different sizes of dashes and dots. 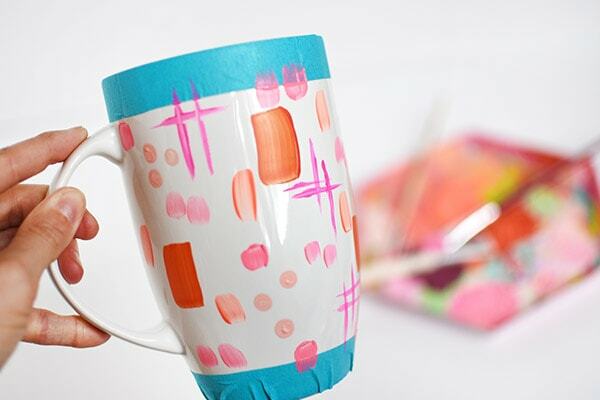 I continued to add more paint to fill out the mug. 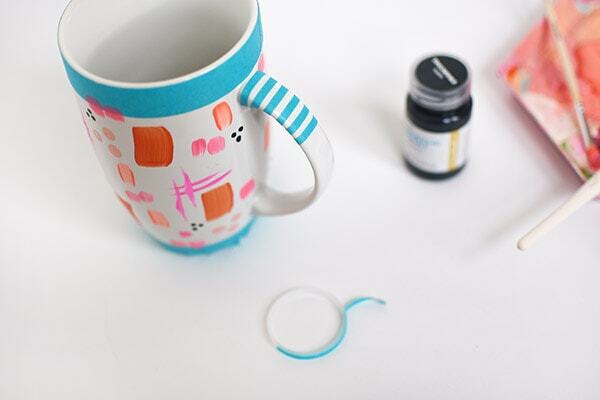 Next, I used thin painter’s tape to create a pattern along the mug’s handle. 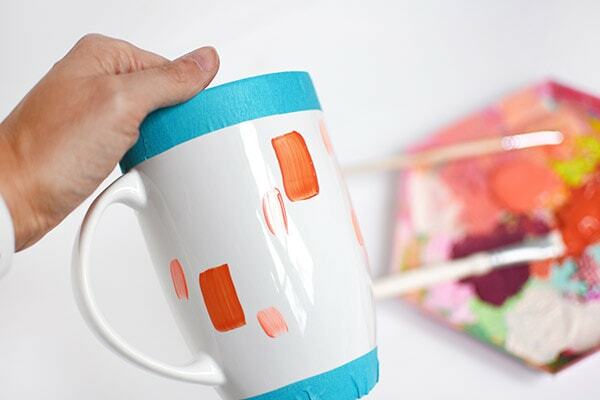 After removing the tape, a colorful DIY Mug Vase was left! I adore using monochrome colors in my floral arrangements. 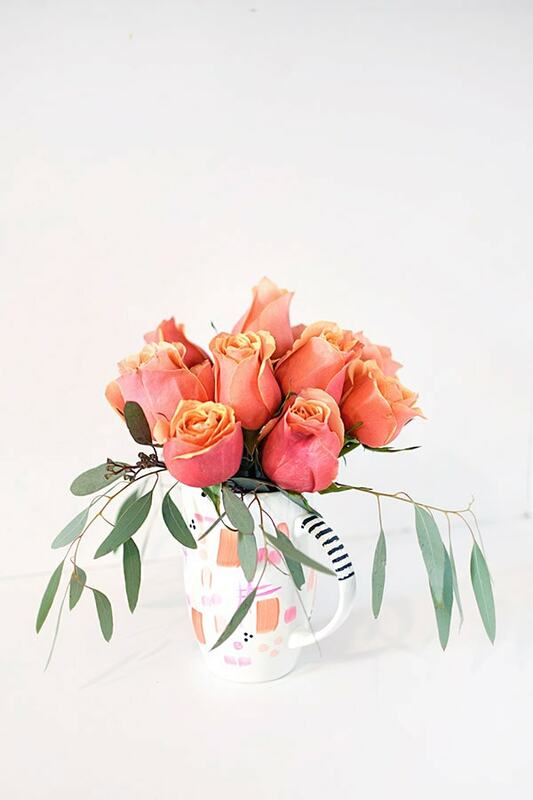 For this arrangement, I used a rosey peach colored rose, along some simple eucalyptus pieces. 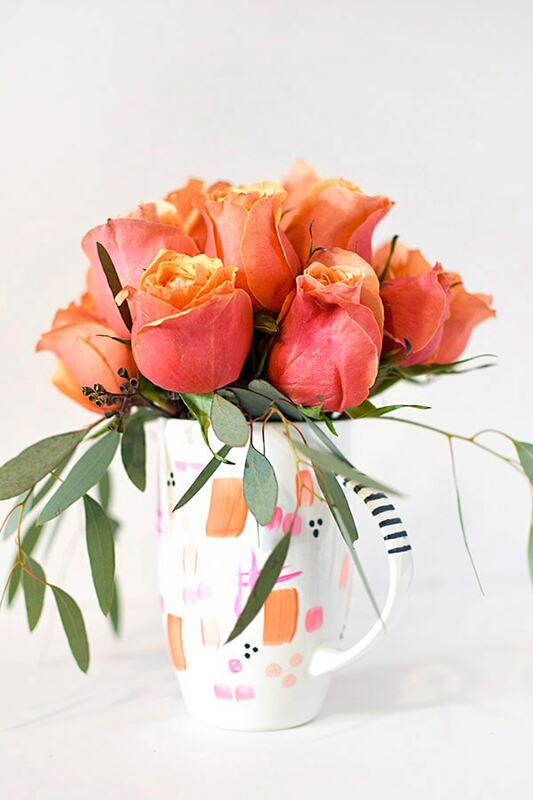 I love that the colors of the mug vase tie into the colors of the roses. 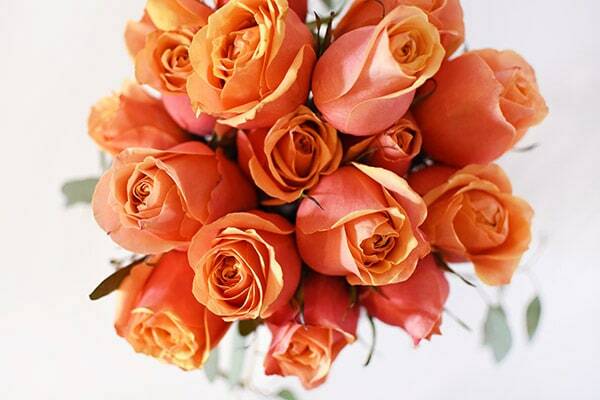 And there is nothing more lovely than the smell of fresh flowers in your home! 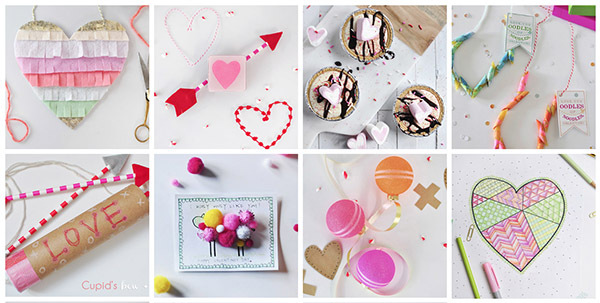 To see other lovely Valentine related DIYs, check these out. So pretty!!! 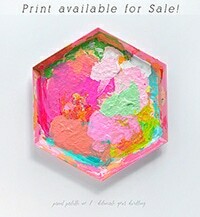 I love this idea for a quick hostess gift! Beautiful flowers too! Ah, so smart. That’s a great idea to give as a hostess gift!